November 14, 2015, 3:45 PM EST. 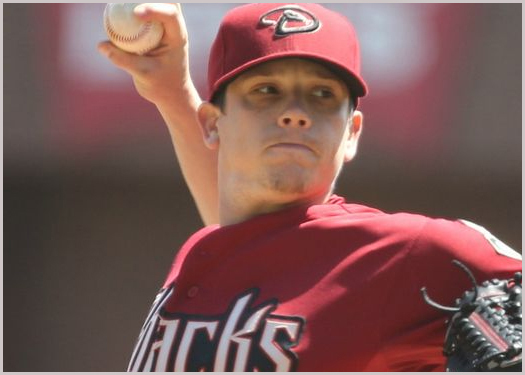 The Philadelphia Phillies on Saturday acquired right-handed pitcher Jeremy Hellickson from the Arizona Diamondbacks for minor league pitcher Sam McWilliams. Hellickson, 28, went 9-12 with a 4.62 ERA in 27 starts for the Diamondbacks last season. He allowed three earned runs or fewer in 19 of those 27 starts. In six starts against National League East division teams, he posted a 3.38 ERA and held opposing hitters to a .223 batting average. He was the AL Rookie of the Year in 2011 and won a Gold Glove in 2012 but has struggled giving up homers, allowing at least 20 four of the past five seasons. "He's a veteran guy, but still in his prime," said Phillies general manager Matt Klentak. "We’ve talked about building an environment, and we think he’ll be a very positive influence on our staff." Hellickson figures to slide into the middle of the Phillies rotation when the club opens workouts in February. .
McWilliams, 20, was an eighth-round selection by the Phillies in the 2014 draft. He spent the last two seasons with the rookie-level Gulf Coast League Phillies and went a combined 2-5 with a 4.19 ERA in 16 games (12 starts).